The Community Media Archive hosted by The Internet Archive (archive.org) gathers the diverse local programs created through community access - including local non-commercial television channels on cable television systems serving a wide range of Public, Education and Government (PEG) purposes. Thousands of community groups and over one million volunteer producers, directors, presenters and technical staff participate in PEG access production annually. These efforts result in more than 20,000 hours of new local programming each week! Programs in this Collection are shared from Community Media Centers around the country (Do It Yourself Archiving) or collected from their Youtube or Vimeo channels (Archiving As a Service). The Community Media Archive started as a partnership between The Internet Archive and Access Humboldt in late 2008. It has since expanded and been used to archive video by over 620 Access Centers, Government Entities and several community media producers from around the country. During the fall of 2008, Access Humboldt prototyped an automated link between their Telvue Princeton playback server and the Internet Archive. However, shows were being uploaded to the generic Open Source Movies collection. They were looking for more of a "presence" on archive.org and found that a "collection" was needed in order to get a "landing page" on archive.org. In addition to solving their own issue, they decided to approach archive.org about setting up a Community Media collection to establish a place for other centers. In December of 2008, a conversation between Brewster Kahle, founder of the Internet Archive, and Sean McLaughlin, Executive Director of Access Humboldt led to a collection manager being assigned to the project and the establishment of the Access Humboldt collection as a sub collection of the Community Media and News and Public Affairs collections of the Internet Archive. In April of 2009, Access Humboldt contacted WCCA TV in Worcester, MA. Searches of archive.org showed that WCCA had uploaded several hundred shows over the past 3 years, but that they were uploaded to the generic Open Source Movies collection. After WCCA joined the CMA, the several hundred previously posted shows were added to their new collection by the Internet Archive staff. In July of 2009, John and Jesse presented their work on the Community Media Archive at the 2009 Alliance of Community Media national conference in Portland. The presentation emphasized the technology-agnostic character of the CMA, the benefits of partnering with The Internet Archive and how other community media centers could get set up as contributors to the CMA. As a result, additional centers expressed interest in joining the CMA. In February 2010, John started work on an Enhanced Metadata project for video files on the Internet Archive. Details were gathered for every video uploaded to archive.org from 2006 through June 30, 2010 (yes, all 445,000 of them). The key fields missing from the Internet Archive's search engine were runtime and video quality (screen size, a/v parameters, bitrate). In time for the ACM 2010 conference in Pittsburgh, a list was produced of all 2,700 MPEG2 videos with a screen resolution of 720x480 and a runtime of 27 minutes to an 1 hour and 2 minutes was distributed with hyperlinks to the show's detail page and a download link to the MPEG2 version on archive.org (see 30-60.xls link in the ACM 2010 Presentation Links below). These are the videos that would be the best candidates for re-broadcast on a PEG channel because they shouldn't need to be transcoded. Further filters could be added based on the presence of key words in the description or subject fields. In early 2011, John identified 3 NASA children's education series (NASA Connect, Destination Tomorrow and NASA Science Files) from the list of MPEG2 video distributed at the 2010 ACM conference. the 3 series comprised 37 hours of video in 61 episodes. He scripted the download of these episodes from the Internet Archive, and wrote an interface to Facil's program table to automatically insert the metadata for these episodes into Facil as well as automating the insert of the MPEG2 video files into the Princeton B3400 playback server. As a result, the 61 episodes were ready for inclusion in Access Humboldt's schedule without further manual data entry. In preparation for the 2011 ACM conference, John created summaries of the items uploaded, number of downloads, file size of derived and original files for collections in the Community Media Archive and related collections like those of the Open Media Project. At the 2011 ACM conference, he presented a proposal for a Community Media Archive upload service which would allow access centers without adequate bandwidth or IT resources to get their video added to the Community Media Archive using SDHC cards and postal mail. Access Humboldt is looking for 3-5 access centers who would like to particpate in the pilot of this upload service. As a result of a discussion at the conference, the Open Media Project and it's subcollections, Denver Open Media and BAVC, merged with the Community Media Archive collection. In the spring of 2012, John created a "TED Talks" collection on archive.org that contained MPEG2 versions of talks without trailing commercials. At the beginning of the project, there were over 400 talks that contained trailing commercials. By July of 2012, the number had shrunk to about 40. The collection is updated daily Monday - Friday. The collection was meant to demonstrate how rich metadata aids in discovery of new items and to encourage media centers to more fully describe their submissions. At the 2012 ACM conference in Chicago, John presented a 90 minute workshop on the Community Media Archive project and how to get started with it. In the fall of 2012, John assisted Somerville Community Access TV with establishing a collection and uploading over 400 videos from their backlog of programs. In early 2013, John returned to his "enhanced metadata" project of 2010 to demonstrate the value of adding metadata after an item had been uploaded to the Internet Archive. Using the Access Humboldt collection as a test, he identified that 75% of the 3,400 items in the collection could be associated with 66 series. After review and correction by Jerusha Wilhelmi, AH's Media Distribution Manager, he uploaded a "series" metadata element to 2,774 items in the collection. Using "series:series_name" notation combined with the "one button" RSS feed generator on the archive's "advanced search" page, visitors can now subscribe to series by RSS feed. Similar "series name" analysis has been performed on Worcester's, Denver's and Seattle's collections. Updates of those collection with series name is awaiting approval of the respective Access Centers. Late Jaunuary 2013, the Roku channel that contains the Community Media Archive collections from the Internet Archive was updated to include the following access centers: Dakota Media Accesss, Denver Open Media, Foxboro Cable Access, Maine Community TV Archives, Media Edge, Mendocino Coast TV, PhillyCAM, Rogue Valley TV , Seattle Community Media, Somerville Community Access Television. In March 2013, John helped the Veterans Helping Veterans program and it's producer Sheryl Shaffer, get a collection established on the Internet Archive. This show had been distributed via bliptv, pegmedia.org, youtube and social media. John uploaded the backlog of 19 shows from DVD copies. He also started downloading current episodes from youtube and transcoding MPEG2 versions for the collection for download by other access centers. In May 2013, at the 2013 ACM conference in San Francisco, John reprised his 90 minute workshop on the Community Media Archive project and how to get started with it. The workshop featured Wendy Blom who presented a case study of how Somerville Community Access TV organized their collection of ~1500 videotapes and digitized them using interns from Simmons College. Hard drives containing the metadata and video files were then shipped to John who automated their upload to the Internet Archive. He also appeared on a panel entitled "Leave It to the Experts: Leveraging Archive.org and Creative Commons for PEG Licensing" with Tony Shawcross, Executive Director Open Media Foundation, Roger MacDonald, Director of the Television Archive at Internet Archive, Alexis Rossi, Director of Collections at the Internet Archive and Mike Linksvayer, Senior Fellow and former CTO of Creative Commons. John organized "An Evening at the Archive", an after conference visit to the Internet Archive featuring a reception, tour, and presentations by Brewster Kahle, founder of the Internet Archive, Tony Shawcross, Executive Director of the Open Media Foundation and John for attendees of the ACM (Alliance for Community Media) and NFCB (National Federation of Community Broadcasters) conferences. In October 2013, John travelled to Massachusetts to meet with Amherst Media, the first community media center to apply for and receive a grant for archiving their video under the state Community Preservation Act. He also visited Easton, MA where Jason Daniels organized a meetup of Southeastern MA access centers interested in archiving their video. Representatives from Attleboro, Brockton, Bridgewater, Bridgewater State University, Canton, Easton and Stoughton attended. James Jones of Attleboro Access Cable System brought a hard drive with 1,858 MPEG2 videos (and associated metadata). John uploaded the videos to DoubleACS's collection in the Community Media Archive. He briefly visited Arlington Community Media before heading to the ACM North East Regional fall conference. 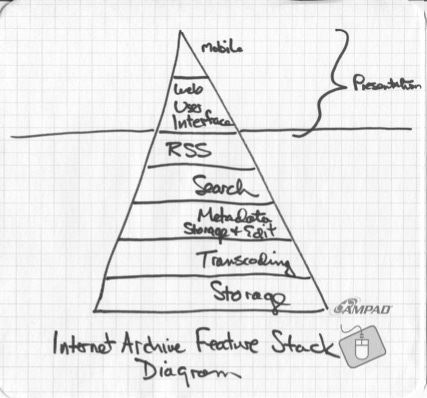 John and Nick Ring of Amherst Media jointly presented the workshop "Archiving with the Internet Archive". Later that month, he travelled to San Jose to present "De-Geeking the Community Media Archive" at the ACM Western Regional conference with co-presenters Ann Theis of the Open Media Foundation and Randy Van Dalsen of WeTheMedia.tv. In the spring of 2014, John traveled to Dayton, OH to present "Archiving with the Internet Archive" at the Central States ACM Regional Conference. After the conference, he visited the locations of the Miami Valley Communications Council, Dayton Access Television and CitiCable of Cincinnati for in depth meetings about video archiving. 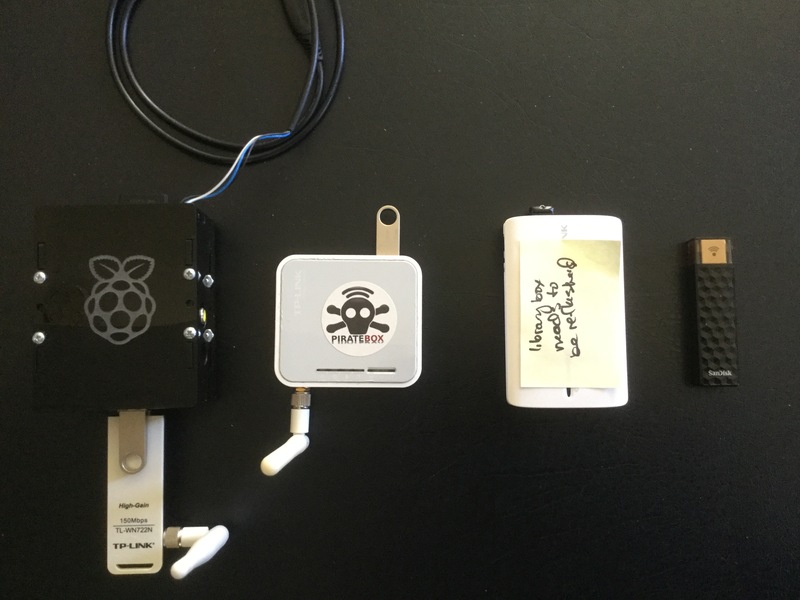 John spent the summer playing with Arduino, Raspberry Pi, Beaglebone Black, Cubieboard, Cubox and ODroid hardware. These are small, inexpensive (< $100) single board computers that show promise for a number of applications related to automated uploads and downloads of video. In an effort to help Access Centers with the bulk uploading of video programs to the Internet Archive, John is developing a USB thumb drive in Portable Apps format that contains perl, the language used by the bulk uploader program ias3upload.pl and sample spreadsheets with metadata. Proof of concept has been completed and beta testing will begin in September 2014. By distributing the upload program and metadata spreadsheet as a portable thumb drive, he hopes to lower the technical barriers to uploading video and enable access centers that don't have IT staff. In October of 2014, John traveled to Northern Vermont to meet with representatives from several access centers in the state and members of the Vermont Access Network to discuss best practices for archiving and how to use the Internet Archive as a backend for a statewide archive and sharing service. He presented a workshop on "Do It Yourself Archiving" at the ACM Northeast Regional Conference with co-presenter James Jones of Attleboro Access Cable System. He also organized a roundtable session "Content Swap - Non-Local Video for your TV Channel" where participants exchanged broadcast ready versions of their favorite series. Later that month, he is scheduled to travel to Ventura CA to present workshops on DIY Archiving and Programming Content Swap Meet at the ACM Western Regional Conference. During the winter, John developed his "Youtube Archive" gateway project, which automates much of the effort of transferring metadata and video from Youtube to the Internet Archive. The 1,000 items added to the newly created Royal Society for the Arts and the Peak Moment collections are prototypes of this automation. Access Centers interested in this effort should contact John for more information. As part of the continuing effort to help others visualize the "Youtube Archive" project, John has created photo mosaics of Access leaders where the mosaic tiles are thumbnails of Youtube videos from the appropriate Youtube channels. Results can be seen in the 2015 Session Links below. In August 2015, John moderated a panel discussion on "Online Community Engagement" at the ACM National Conference in Pasadena. He also showcased various efforts in the "Tools, Technologies, and Initiatives to Know About" workshop session at the conference. At the Awards Luncheon of the National Conference, John was presented with the 2015 Buske Leadership Award for his work with the Community Media Archive. Text of his awards acceptance speech can be found below. In early September, John presented a PEG Experts webinar hosted by Tightrope Media Systems on "Hosting & Sharing your Media on Internet Archive". John worked with Michael Eisenmenger, Executive Director of Marin TV, to archive High Definition versions of Spanish language TV shows of the Mexican Internet TV collective, Rompeviento TV. These activist journalists produce 9-12 hours of Spanish language TV a week focused on current events in Mexico. The HD versions are uploaded to the Internet Archive and a version suitable for re-broadcast on Public Access TV stations (SD NTSC letterboxed MPEG2) is automatically created. See the Rompeviento TV collection. Access Centers interested in re-broadcasting episodes of Rompeviento TV should email Michael and let him know which series they'll be airing. In November he presented his DIY Archiving Workshop featuring a case study presented by Kayla Creamer of Amherst Media at the ACM-NE Regional Conference in Hartford CT, Nov 19,20. John traveled to Ottawa Ontario to speak on a panel on Archiving Community Media and present a workshop on DIY Archiving with the Internet Archive at the first national Community Media conference in Canada, held at Carelton University, Ottawa, Ontario Nov 22-24. He continues to work on techniques to automate the download of series from various online providers. Spreadsheet of various cost factors (media, frequency, postage, fees) that would affect the cost of using "snail mail" to send video to the Community Media Archive through a center with fast upload bandwidth.